ASPHostPortal is the leading provider of Windows hosting and affordable ASP.NET 1.1 Hosting. Our price starts from $4.49 per month. The .NET Framework version 1.1 provides improved scalability and performance, support for mobile device development with ASP.NET mobile controls (formerly the Microsoft Mobile Internet Toolkit), support for Internet Protocol version 6, and ADO.NET classes for native communication with Open Database Connectivity (ODBC) and Oracle databases. It also enables the use of code access security to further lock down and isolate ASP.NET applications. 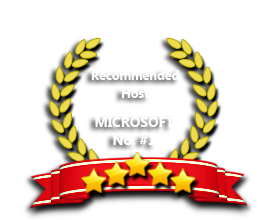 If you are looking for the right Windows ASP.NET Hosting provider, we are the right choice for you. Our support team is extremely fast and can help you with setting up and using ASP.NET 1.1 on your account. Our customer support will help you 24 hours a day, 7 days a week and 365 days a year. Our Windows Cloud Hosting fully supports ASP.NET 1.1 hosting. You are more than welcome to try our Free Windows Cloud Hosting before you decide to buy. You can get your Free Cloud Windows hosting account up and running within the next few minutes.